Is it, perhaps, that all films are really silent films? Isn’t cinema just about conjuring up moving pictures in our heads, matching what we see to the world that we know? Aren’t sound and speech mere decorations, means simply to guide us what we want to see? Isn’t everything that we want to find in cinema to be found in silent cinema, when the medium was new and trying to discover all that it could do? And what, fundamentally, has it done that is new since the silent era? And might that be because, perhaps, all films are really silent films? I offer up these thoughts by way of reaction to the above video, which I present to you as a silent film, simply because it is silent. Sometimes when I point out modern films without soundtracks I wonder whether the connection with silent cinema is purely tokenistic. But now I don’t think so. Films that have lost their sound have returned to some sort of pure state. After all, a story that isn’t told in pictures can’t really be thought of at all cinema, can it? The video illustrates work undertaken by neuroscientists at the University of California, Berkeley, who have been scanning the brain activity of volunteers who have been watching films. A computer was then able to produce rough reconstructions of what they had viewed, with reference to an archive of 18 million one-second clips taken from YouTube not previously seen by the participants. The computer then matched the clips to the brain activity it had recorded. Scientists … speculated such an approach might be able to reveal dreams and hallucinations someday. In the future, it might help stroke victims or others who have no other way to communicate, said Jack Gallant, a neuroscientist at the University of California, Berkeley, and co-author of the paper. He believes such a technique could eventually reconstruct a dream or other made-up mental movie well enough to be recognizable. But the experiment dealt with scenes being viewed through the eyes at the time of scanning, and it’s not clear how much of the approach would apply to scenes generated by the brain instead, he said. Greater results could be achieved by greater access to a moving image archive (there was no equivalent clip for an elephant, for example), which makes you think how the whole of YouTube might be viewed as the collective dreams of us all. The dream videos have gone viral, with over a million views in just a few days. Clearly something speaks deeply to people about the idea of these films, if not necessarily the images themselves. It’s not just that we might, hypothetically, one day be able to recover an entire movie from our brains, or indeed visualise our dreams. It’s that all these pictures are playing in our heads, and that this experiment opens a small window upon them. It’s an idea of the mind as pure cinema. The paper on which the research is based is ‘Reconstructing Visual Experiences from Brain Activity Evoked by Natural Movies‘, by Shinji Nishimoto1, An T. Vu, Thomas Naselaris1, Yuval Benjamini, Bin Yu and Jack L. Gallant. Further information on the project is available from http://gallantlab.org. OK, here’s a test for you – who’s in this picture? 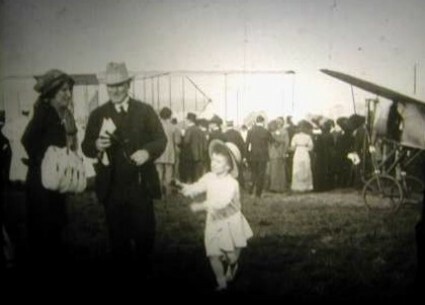 It’s a frame still from a newsreel of an aviation demonstration held in Britain for the parliamentary aerial defence committee at Hendon in May 1911. It shows two parents and their 9-year-old son. Recognise him at all? Well, it may help to know that the father is Herbert Asquith, prime minister of Britain at the time, with his wife Margot. And so yes the little boy is indeed Anthony Asquith, making his first appearance on a medium where a dozen or so years later he would shine as one of Britain’s leading film directors and go on to enjoy a notable career in film spanning four decades. Asquith is back in vogue. Most who know their film history will associate him with elegant if (apparently) bloodless society dramas, typically adaptations of Terence Rattigan plays, peaking with a peerless version of Oscar Wilde’s The Importance of Being Earnest. But now more and more we are being encouraged to look at Asquith the young man, who took a very different approach to the camera. In common with a number of the British intelligensia of the early 1920s Anthony Asquith became fascinated by film while at university. He spent some time in Hollywood as a guest of Douglas Fairbanks and Mary Pickford, joined H. Bruce Woolfe’s British Instructional Films to learn about filmmaking from the gound up, and was a founder member of the Film Society, the London-based body formed to screen films of articis worth or historical interest which did so much to establish an intellctual film culture in Britain. Asquith first served as a general assistant on Sinclair Hill’s Boadicea (1926), before writing the script for Shooting Stars (1927), a film for which he was also described as assistant director, with industry old hand A.V. Bramble being named director. But the opinion of posterity (and even opinion at the time) is this is an Asquith film. It is one of the most astonishing of film debuts: a witty deconstruction of filmmaking (the story is set in a film studio) and a stylistic grand feast. It is crying out for restoration with new score, and all of promotional works that we now expect to come with high-level silents brought back to public attention. Doubtless all that will happen in the fullness of time, but before Shooting Stars becomes the talk of the town we have the film of the town, and that is Underground. Underground (1928) was the first film for which Asquith received full director credit, and it shows quite definitely that Shooting Stars was no fluke (or astonishing late career flourish from Bramble). It is a work of someone who had seen a lot of German and Soviet films at the Film Society and who wanted to bring the exciting techniques of expressionism and Soviet montage, coupled with psychological penetration, to a British setting. Underground achieves this about as well as you could hope. There is something slightly ridiculous about looming shadows, vertiginous camera angles and doom-laden characters placed among the mundanities of a London setting. Eisenstein showed a people impelled towards revolution; Asquith shows them catching the Undergound train everyday. There is a melodramatic love story to follow, with an absolutely splendid fight climax (some of which you can see in the trailer above), but the real story is the ebb and flow of London life, which doesn’t really fit in with the tempestuous technique. The revolution was not going to happen in London – Asquith was interested in what the camera could do, not what society might do, and the two do not really connect in Underground. But what the heck – it’s a great film to watch, and now the BFI restoration is getting the full new orchestral score treatment courtesy of Neil Brand and the BBC Symphony Orchestra. It’s worth noting how extraordinary this is, in terms of British silent films. Brand’s score for Blackmail, shown at Bologna and at the Barbican in London last year, was the first full orchestral score for a British silent fiction film since the days of the silents themselves (Laura Rossi produced an orchestral score for the documentary The Battle of the Somme in 2006). Underground is the second. It shows how the critical and commercial reputation for British silents has risen in recent years – or at least the small coterie of British silents that are likely to please a modern audience. Asquith’s A Cottage on Dartmoor has entered many people’s favourite lists after its DVD release and Stephen Horne‘s great work in accompanying it, and one expects that preconceptions will be shifted once again once word gets round about Underground‘s particular thrills. Underground is being shown with the BBC Symphony Orchestra conducted by Timothy Brock at the Barbican, London, on 5 October 2011. The Barbican web page has full booking details, plus a podcast with Neil Brand giving his thoughts on scoring for silent films. It will be good to be there if you can. Anthony Asquith made four silent features. The third among them, The Runaway Princess (1929), I’ve not seen but has a reputation of being a bit on the lightweight side. It was an Anglo-German production, for which Asquith was encouraged or obliged to rein in the arty stuff, and there’s unlikely to be much there to excite an audience today. But Shooting Stars – now there is treat for you in the future, I hope. The Media History Digital Library, of which you will have read much if you are a regular here, now has a proper website. The MHDL is a non-profit initiative established by film archivist and historian David Pierce to digitise classic film and media-related journals and directories that are in the public domain, making them freely available for public access online. The journals come from variety of personal and institutional collections, with the donors including Robert S. Birchard, Eileen Bowser, Dino Everett, Richard Koszarski, Bruce Long, Nancy Goldman/Pacific Film Archive Library and Film Study Center, David Pierce, Rick Prelinger and Karl Thiede. Pierce is the director of the MHDL, Eric Hoyt of the School of Cinematic Arts, University of Southern California the Digitization Co-ordinator, and Wendy Hagenmaier of University of Texas Information School the Digital Archivist. All scanning and hosting is undertaken by the Internet Archive. Many of these we have already described and championed at the Bioscope, and there’s no need to go through the details once again. The new website describes the collections, admirably, most helpfully dividing them up into curated section with useful background histories, under the themes of Hollywood Studio System Collection (1918-1948), Fan Magazines (1914-1940), Early Cinema Collection (1904-1918), Year Book Collection (1922-1963), Broadcasting Collection (1922-1957), Non-Theatrical Film Collection (1920-1973) and Technical Journals Collection (1929-1954). This is not just a website to promote the existence of the project, but a properly functioning online library in itself. It presents the works and their contexts. There is a particularly informative and well-illustrated blog, written by Pierce, focussing on aspects of the collections; a forum awaiting new members, FAQs, a promised links section, and an invitation to asist in sponsoring further digitisation. A $1,000 contribution will support the scanning of 10,000 magazine pages, which is around a year for most of these publications. Among the titles awaiting sponsorship are The Film Daily, Motion Picture Daily, Motion Picture Herald, Radio Daily, Cine-Mundial, Broadcasting, Exhibitors Trade Review, Motion Picture News, Moving Picture World and The Hollywood Reporter. Some of these have been particually digitised, as indicated, but the full run remains to be completed. More is promised from the site, aside from further digitised content. They intend to develop an Advanced Search to allow customisable searvches across multiple publications, volumes and years, which is going to be a huge boon to researchers. More on that when it appears. Meanwhile, individual journals and volumes are already word-searchable. As Pierce’s blog shows, there is huge quantity of precious information to be mined. The Media History Digital Library represents a real tipping point for film research. We’ve gone beyond the point when it was quite fun to find a few texts available online, to supplement our visits to research libraries and perusing through microfilms. This is the new research library. This is where the bread-and-butter research documentation upon which we all depend is going to be found from now on. This is where we will now make our discoveries, and new kinds of discoveries too, as online research tools leads to new forms of analysis, new associations, and new conclusions. And we’ve only just started. The upcoming Pordenone silent film festival, or Gionate del Cinema Muto (1-8 October), has the look of a real classic about it. After last year’s interesting but slightly thin offering, the festival organisers look to have gone town, impressing us with an amazing array of silent treasures both famous and obscure, from across the globe, and with a number of restorations and discoveries which have been the talk of the silent world featuring during what is the 30th Giornate. You couldn’t imagine the film with dialogue; it’s about words unspoken. Stands head and shoulders above most of the modern silent shorts. The teaser trailer above should whet the appetite. As for the rest of the programme, there are Italian classics, more robust works from the USSR, a special focus on Georgian silents, more revisiting of films from the silent canon (including films some of us will have heard of, which is reassuring), Michael Curtiz before he was Michael Curtiz, lots of polar exploration films which won’t be to everyone’s taste but will certainly entrance me, an appearance by the annual and eternal Baby Peggy, and headline discoveries such as The White Shadow (1923), The Soldier’s Courtship (1896), Georges Méliès’ Voyage Dans la Lune in colour and a fragment from the mostly lost The Divine Woman (1928), with Greta Garbo. It’s going to be the only place to be. violin), Francesco Ferrarini (violoncello), Fábian Pérez Tedesco (percussioni/ percussion), Maud Nelissen (piano). Information on films, acommodation, travel and registration can be found on the festival site. Needless to say, for those who cannot be there we will be providing you with by now the traditional Bioscope diary. The big story of the week has been the purchase of the Raymond Rohauer Film Collection by the Cohen Media Group. Legendary collector Rohauer, best known for the role he played in reviving Buster Keaton’s reputation, built up a collection of some 700 titles, many of them silents (The Birth of a Nation, Orphans of the Storm, Son of the Sheik etc). The collection has been up for sale for two or three years and much of the online debate has been about just what Cohen think they are getting for the money, when so much of it must be in the public domain and not really a financial goldmine in any case. Read more. As regular readers will know, we’ve been documenting the regular onrush of digitised silent film journals that have been appearing online over the past year or so. One of the leading providers has been Bruce Long, who runs the Taylorology site (as in William Desmond Taylor, silent film director and murder victim). He has just added nine further issues of Photoplay for 1915-16 to the Internet Archive. By my calculation that makes 2 monthly issues from 1914, 15 monthly issues from 1915-16, and 8 volumes, each covering six months of the journal 1925-30 that are freely available to all online. Read more. Cultures of Surveillance is an interdisplinary conference covering all aspects of surveillance, from today’s CCTV to the ways surveillance practices intersect with visual technologies and histories of culture. Waving the flag for silent film will be keynote speaker Tom Gunning, who paper is entitled “Screening out the Visible: Identity and Representation in the Early 20th-Century Detective Genre”. The conference takes place 29 September-1 October at University College London. Read more. The Indian government has announced that, to mark the centenary of Indian film, it plans to open the country`s first film musuem by 2013. 1913 saw the release of India’s first feature film Raja Harishchandra, directed by Dhundiraj Govind Phalke, whose story we have covered before now. The museum is being built in Mumbai, and, as one press report pertinently puts it, “the museum will be a window to India`s ever-expanding soft power, cinema”. Read more. Do you need to know this? Apparently while a small part of the world has been concerned by news of Libya, financial crisis and rogue traders, the greater part has been agog at the news that Madonna does not like hydrangeas. I don’t know how or why, I’m not interested to know how or why, but such was the world’s rage at this instance of selective anthophobia that it led to Madonna producing a mock apology in the form of a silent film. As one would expect from such a rubbish film director it’s a rubbish silent film. She doesn’t even know how intertitles work. But it exists. Read more. Fascinated by the deathless prose demonstrated by this blog? Fancy reading more, only this time with footnotes? Well, if you go to my personal website you’ll find a growing number of my articles for scholarly journals which I’ve been able to put up online for free by kind permission of the publishers. There are two very welcome trends being demonstrated by journal publishers: one, they are offering increasing amounts of content online for free, though obviously in the hope of attracting subscribers to the greater amount of content that remains behind paywalls; and two, when you do write an essay for them, often they allow you to post a PDF (or a link to it) on a personal web page or departmental page, just so long as you acknowledge the source and link to the journal in question. 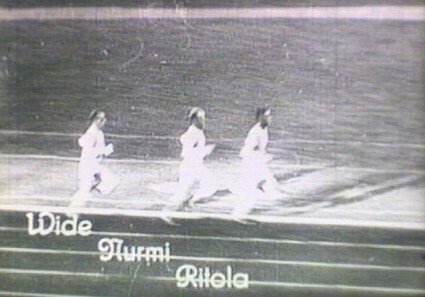 I raise this now because, just in time for 2012, I’ve just put up a new essay, ‘Rituals and Records: The Films of the 1924 and 1928 Olympic Games‘, recently published in European Review, vol. 19 no. 4, 2011, by kind permission of Cambridge University Press. The link here is to my web page, so that readers see the full acknowledgment before finding the PDF. Silent film restorations, they seem to be everywhere at the moment, pitched ever more as gorgeous attractions whose time has come. They have (re)premieres, they are presented as works restored to life, as somehow belonging as much to our time as the time in which they were made. Maybe it’s the tinting and toning, maybe it’s the orchestral scores, maybe it’s just the hype – but they have glamour. It is certainly striking to see a silent film restoration among one of the star attractions in the London Film Festival programme, and a British silent that few will have heard of to boot. The First Born (1928) is a film well worthy of the honour, however; indeed it is a rather better film than the festival blurb might suggest, whose attempts to sell it to a modern audience include comparisons with the TV series Downton Abbey and an invitation to consider how far the action on the screen mirrors the private lives of its stars. There are better reasons to see it than those – it is sophisticated, subtle, mature in theme and and bold in technique, perhaps what Mauritz Stiller might have made had he been in Britain rather than Sweden. It was directed by Miles Mander, and stars he and Madeleine Carroll in a tale of marital disharmony. The BFI’s copy of the film has long suffered from a missing ending, but additional footage has been uncovered to complete what should now gain the acclaim it deserves as a masterpiece. Stephen Horne has produced a new score, and it screens at the LFF on October 20th. The LFF has a regular ‘Treasures from the Archives’ section, showing the pick of the world’s film restorations, and the silent selections this year are Clarence Brown’s The Goose Woman (USA 1925); Mikhail Kalatosov’s visually extraordinary The Nail in the Boot (USSR 1931) paired with Lois Weber’s powerful tale of urban poverty, Shoes (USA 1916); and a selection from the Wonderful London series of travelogues from 1924, made by Frank Miller and Harry B. Parkinson, a hack director of humblest ambition who just for this series found the technique to match the theme and produced some hauntingly simple vignettes of London life. Well worth catching. Another restoration grabbing our attention, not least through the strategy of a stylish web presentation, including the above trailer, is Ernst Lubistch’s The Loves of Pharoah (Das Weib des Pharao) (Germany 1922). Those who associate Lubitsch solely with sly, visually witty social comedies, and going to find The Loves of Pharoah something of a shock. It is a grand epic of the old school, with scenery-chewing performances from Emil Jannings and Paul Wegener, and literally a cast of thousands for some spectacular crowd scenes. Though it has its silly side, and not much of a story for one will care about, it is a film to see for the handling of scale and just a sense, now and then, that maybe Ancient Egypt was exactly like this. It was the last film Lubitsch made in Germany before he went over to the United States and he truly went to town, building what looks like an entire Egyptian city (complete with full-sized Sphinx) on the outskirts of Berlin. For years the film has existed only in an incomplete form, but the bringing together of prints in the USA (George Eastman House) and Russia has allowed the reconstruction of almost the entire film, complete with the original score by Eduard Künneke. The digital restoration has been undertaken by Alpha-Omega, who previously worked on the digital restoration of Metropolis. The film will have its German premiere at the Neues Museum in Berlin on 17 September, with a TV broadcast on ARTE on 26 September. The US premiere will be at the Egyptian Theater on Hollywood Boulevard in Los Angeles on 18 October, and a DVD and Blu-Ray release will then follow. More information is available, in English and German, on the Alpha-Omega site. A third restoration doing the rounds, and with not just a trailer but a website to champion its importance is Mania, or, to give it its full title, Mania: The History of a Cigarette Factory Worker (Mania: Die Geschichte einer Zigarettenarbeiterin) (Germany 1918), Mania being the central character’s name. The great appeal here is that the film stars Pola Negri, the Polish vamp, shortly on her way to Hollywood to add a dash of pre-Garbo European glamour and mystique to American screens. The film has been restored by the Filmoteka Narodowa in Poland and had a screening last night in Paris and has other lined up in Madrid, London (the Barbican on 13 October), Kiev and Berlin, with orchestral score, details of which are on the website. The trailer hasn’t been cut together all that well, but more than enough reason to see it is supplied by an enthusiastic account of the film in The Guardian. It was written by Pamela Hutchinson of the highly commendable Silent London blog, and is nicely observant when it comes to pinpointing Negri’s talent and appeal. Anyone who has gone searching for scholarly articles on the web will be aware of JSTOR. Type in just about any journal name, or look up any research subject, and sure enough there will be a link to an article held by this giantic American digital library. And if you do not belong to an institution that subscribes to JSTOR, you then end up banging your head against the desk because you, as an ‘unaffiliated scholar’, are not permiited access. So near and yet so far. Well, in the continuing spirit of web altriusm (see yesterday’s post on Project Gutenberg) JSTOR has announced that it is going to make all of its journal content published prior to 1923 in the United States (the date before which all works published in the USA are held to be in the public domain) and prior to 1870 elsewhere in the world (a reasonable assumption based on the calculation of 70 years after the death of the author for a creative work in European law) freely available to anyone, anywhere. This represents 500,000 articles from 220 journals, or around 6% of the entire JSTOR collection. JSTOR has not converted all of these journals to free access yet, but gradually the Early Journal Content offering will expand, with records marked by a green icon with the message “You have access to this content” and a box that states ‘free’. To search across the freely-available content, JSTOR provides an advance search page already set up for you, here. I’ve added this to Resources in the Bioscope’s right-hand column of links. A similar search strategy for ‘cinematograph’ yields 152 results, for ‘kinematograph’ 63 results, and for ‘bioscope’ 12. It should be pointed out that JSTOR does have some free content from contemporary journals. For instance, in searching under ‘cinematograph’ I found an essay by Hannah Landecker, ‘Microcinematography and the History of Science and Film’, Isis, Vol. 97, No. 1 (March 2006), pp. 121-132. If you adjust the ‘sort by’ option to ‘newest to oldest’ you will get these occasional free modern articles appear at the top of your list of hits. You can also narrow down results to articles containing images, though do note that your average scholarly journal in the pre-1923 era didn’t go in for illustrations all that much. All in all, this is a huge boon for the independent researcher, whether they be looking for silent film themes or any other topic of passing interest. Go explore. The sad news was reported last week of the death of Michael Hart, the founder of Project Gutenberg. Where the original Johannes Gutenberg, it is argued, manufactured the first printed book, Michael Hart invented the e-book. In 1971 he first typed out the Declaration of Independence on his university’s mainframe computer, and so began one of the world wide web’s greatest creations, a couple of decades before the web itself existed. Hart had created the electronic form of a printed text, but much more than that he saw the potential of creating a vast repository of freely-available texts, open to all. His was an invention not only made for the Internet, but one which in a profound way helped inspire its ideals. One of the first things anyone learned about once they had logged on in those pioneering mid-1990s days was that there was this wonderful, altruistic project to make available the world’s public domain texts. Nor was it just one man with a keyboard, but rather a growing band of volunteers were giving up their time to type, proof-read, check OCR and present texts to the rest of the world simply because it was a noble thing to do. This, we learned, was what the Internet and the world wide web were all about – knowledge freely shared by all. Many others have followed where Hart led, with the Internet Archive making available many of the same texts, Google now digitising out-of-copyright texts on a gigantic scale, and Amazon working hard to overturn centuries of reading practice with the Kindle e-book reader. 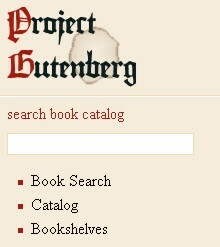 But Project Gutenberg ploughs on, now with 36,000 books available, plus tens of thousands more through its affailiate organisations. Here at the Bioscope we have from time to time noted important texts in our field which have been made available by Gutenberg; they are described in the Bioscope Library. Below is a list of these and some of the other silent film-related books available on Project Gutenberg. The best thing you can do, by way of tribute to Hart’s great work, is to download and read at least one. One of a series of children’s adventure stories featuring the daring exploits of cameramen, a number of which feature on Gutenberg. A standard guide to writing a screenplay. Early biography of the inventor of the Kinetoscope. Thriller novel with a film background. Classic, poetical study of the motion picture as an art form. Classic account of an official cinematographer’s experiences of filming in the First World War. Book of short stories with hauting tale inspired by the Kinetoscope. Generally considered the first serious work of film theory. British detective story with an American motion picture background. Pirandello’s satirical novel about a cinematographer who is also an absurdist writer. A play (written in Tagalog) about the popularity of cinema in Filipino society. Celebrated comic novel about a terrible movie actor who is cast for laughs while he thinks he is playing in straight drama. Thank you Michael Hart and all the volunteers at Project Gutenberg.